Here’s the first of a series of interviews to knife sharpening services around the world. Let me introduce you to Greg, owner of Wabocho. 1. 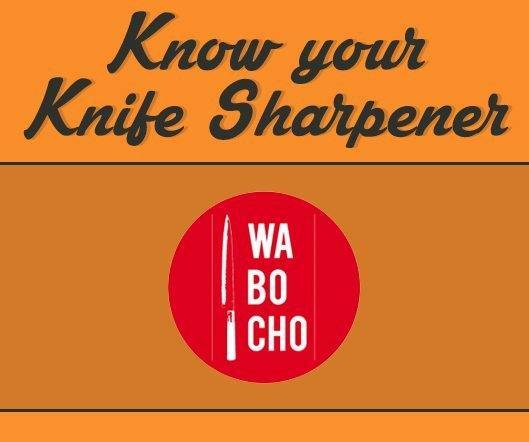 Do you remember the first time you sharpened a knife? Yes, I remember. I have destroyed an expensive knife then. It was a Spyderco Military in S30V. I was following one guy on youtube and tried to do exactly the same things he was doing. The only problem was that I didn’t understand what I was doing. 2. How did you make it a business, and how long have you been doing it? I have never considered it as a business. Knives are my hobby and I was simply looking for an opportunity to sharpen and repair more of them. I have never advertised myself on any website or knife related forum. I think that I created wabocho.com about two years ago. 3. Can you tell us more about your sharpening process and technique? I am using the “Japanese” way of sharpening knives, if I can call it like that. This technique is described properly by Murray Carter from CarterCutlery.com or Jon Broida from Japaneseknifeimports.com. Theory in this case is simple. You must grind off some amount of metal to create the edge and then refine it. To do that, you must create a burr on one side of the blade and once it’s created, you must do that on the other side of the blade as well. Only, by creating a burr, you can be sure that two bevels met together. This is the first part where burr is your friend. Second part of the process is removing the burr (which now is your enemy) and refine the edge. I am using the stones and depending on knife, steel hardness and condition of the knife, it can take from 5 minutes to 1 hour sometimes. This is a ‘’BASIC’’ theory, however, it’s harder in practice. I still didn’t master it. I am self learner and I can say that I am far from mastering it. There are people out there in Japan, who are doing that for their entire life. I’ve been working with knives for 4 years and there is a long way of trials and errors ahead. Every time when I think that I am good and I like one technique, I find something new and start experimenting and it start from scratch again. 5. What was the main challenge when you first started sharpening knives? Hahaha. Lack of knives to sharpen. I think that knowledge and a lot of practice is something what every new sharpener or knife enthusiast will be missing. Also it is also better to see somebody in action. I wasn’t that lucky and had to learn by trial and error method. Of course, you can watch many movies on youtube, but it will never replace having a mentor. I was lucky enough to meet a guy on the polish knives forum Michal ‘’Bieniek’’ Bienkunski, who became a very good friend of mine over time. He not only explained me about sharpening and other things, but also gave me a love to knives. We were pushing each other to make new projects. It’s good to have somebody who can talk to you about your projects. 6. Is starting with cheap knives a good idea for beginners? It is not good to start with cheap knives. Why? Because somebody who wants to learn how to sharpen will get frustrated and will not sharpen the knife anyway. I am not saying that you have to start your learning on expensive knives, but doing that on cheap knives will not led you to any good results. Some knives just cannot be sharpened. This is why I stopped doing that. Once one guy from my work asked me to sharpen his knives. I’ve been told that they are very good knives. I was sharpening 4 knives for over 2,5 hours and I even didn’t do a good job. Then I told myself that it was last time when I was sharpening cheap knives. I could do the same job on decent knives in 20 minutes. Cheap knives are not hardened properly and are soft. Instead of creating a sharp edge you will overspread soft metal. In my opinion it is a waste of time. I think that the most common mistake is rushing. Take your time, slow down. Watch good youtube movies. Jon Broida and Murray Carter are great guys to begin with. Use sharpie trick to mark your edge. Usually people can’t find a good angle. Don’t let yourself get frustrated. If you can’t sharpen a knife at the beginning stop, think what you are doing or even leave your knife or project alone. You can make yourself more problems if you will try to sharpen a knife without a good result. Using a lot of pressure is a common mistake as well. 8. 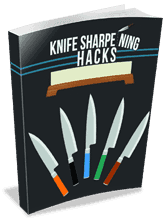 Are you still perfecting and improving your sharpening technique today? Yes, of course. I don’t think that I will ever stop doing that. There are many different techniques that you can use on different knives. 9. What’s the most expensive knife you’ve ever sharpened? – Masamoto HS Series. Honyaki Gyokuhakukou 300mm yanagiba Hitachi Pure White high carbon steel (Shiro Ko) which cost $937. – Gesshin Ittetsu 285mm White #2 Honyaki Wa-Sujihiki with Ebony Handle which cost $900, but importing that knife from USA from Japan is very expensive which add to the total cost. I hate sharpening small knives. I feel comfortable with bigger blades. Also I hate to sharpen curved knives like peeling knives. I just have stopped doing that. S30V is my enemy.